Welcome to Week 51 of Year 4 at PPF! Random.org this week chose #67 - Kristina Grøn . 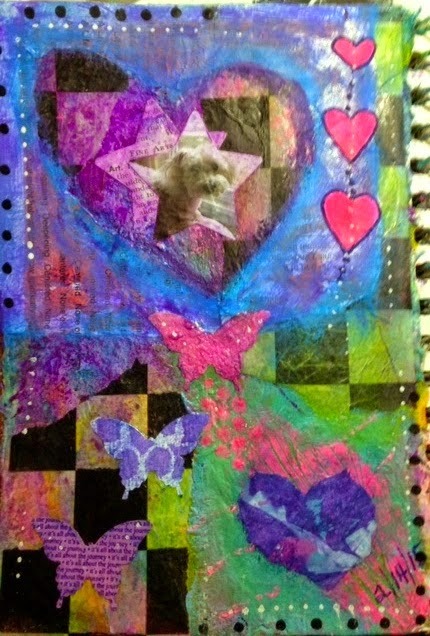 Kristina has been painting quirky, sweet, heart angels and shared one with us. Maybe Valentine's Day is still on her mind? Or a special someone? Welcome to week 49, Year 4 of Paint Party Friday! This week the random.org number generator chose #19 - Nic McLean of Nic's Earth. 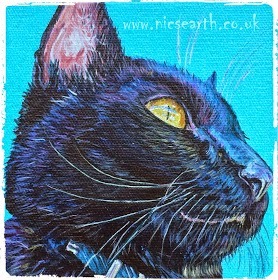 Last week Nic posted an amazing pet portrait of fellow PPFer Marji's cat, Ming... In a way, this week's spotlight is a 2 for 1! (It is so exciting for us to see all of the Paint Party Friday friendships and connections.) 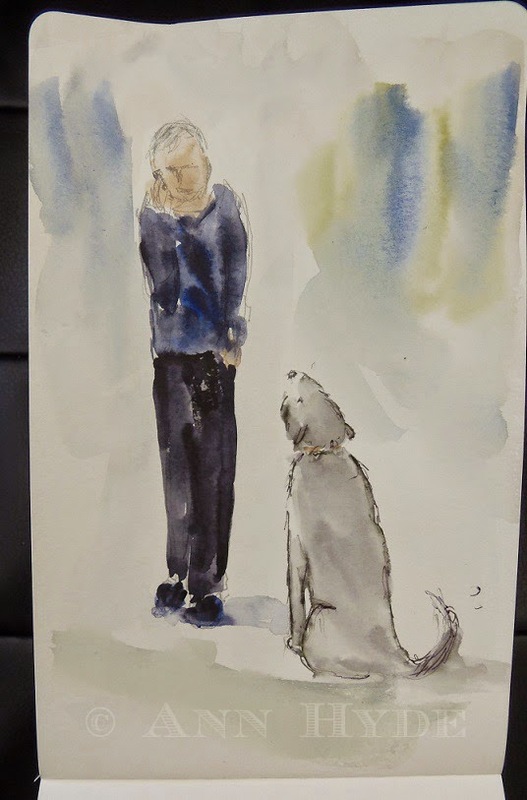 Please be sure to stop by Nic's blog to find out about all of the wonderful things that she has going on (and to see a portrait of Marji's dog that Nic also painted)! Have an amazing, fun (and paint) filled week! 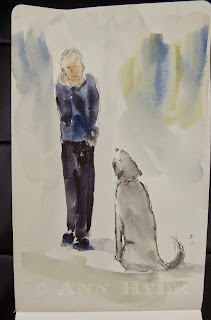 Welcome to Week 48, Year 4 at Paint Party Friday! This week random.org chose #30 - Ann Hyde (and William, of course!). This week Ann playfully shows how William likes cell-phone calls (maybe even more than she does)! Have a shining paint-filled week!